“We’re building an airport for tomorrow, not yesterday,” says Maryann Ferenc, who is part of a team that landed a food-and-beverage concessions contract at Tampa International Airport. The TIA board recently finalized its sweeping Concessions Redevelopment Program, part of a $940 million facility expansion. 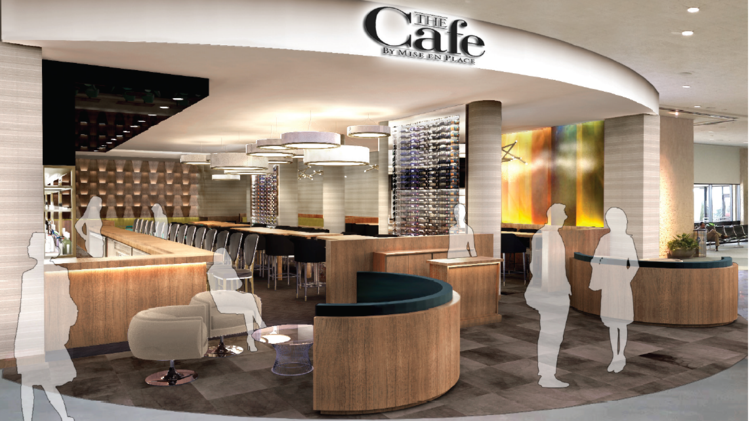 The airport of tomorrow relies heavily on homegrown restaurants and bars. That’s particularly true for TIA, whose exhaustive bid and selection process forged a brand mix that will be roughly half local and half national/international when it’s fully rolled out in 2017. The days of major airports housing predominantly familiar chain restaurants are waning, say experts in the field. Today’s travelers are increasingly interested in their destination’s sense of place, and that includes airports, which can serve as introductions to the larger community experience. But some factions are concerned that too much emphasis on local brands might alienate hurried and harried travelers. Does a young family of four heading to the Midwest want to grab a nosh at Chili’s or take a chance on Tampa-founded Ducky’s Sports Lounge? If revenue is the key objective, the naysayers contend, familiar offerings make more sense. Bloomin’ Brands joined major airport concessionaire HMS Host in a bid to put an Outback Steakhouse and a Bonefish Grill at TIA. After ranking second to TPA Hospitality — led locally by Ferenc, who owns Mise en Place — HMS Host/Bloomin’ Brands filed an official protest to the airport. As part of its argument, Bloomin’ told TBBJ of an anonymous, third-party survey it conducted. The results, said spokeswoman Elizabeth Watts, showed that travelers were 2.6 times more likely to visit Outback, Bonefish and Edison Food + Drink Lab (the third brand in the package, based in Tampa) than the roster posed by TPA Hospitality. The TIA board rejected the protest, and the airport will get TPA’s all-local Rumfish Grill, Four Green Fields and The Café by Mise en Place. The chain-vs.-local argument will play out most vividly in TIA’s Airside C. Exclusive to Southwest Airlines, it accounts for the highest passenger traffic of any airside: 35.3 percent of visitors, 6.1 million of them in fiscal year 2014. Currently, the Chili’s there — which will be phased out when the existing concessions contract ends this year — is the top-grossing restaurant at the airport. Casual restaurants Cigar City Brewing, Rumfish Grill, PDQ, and Burger 21. A market concept that includes Bavaro’s, Louis Pappas Fresh Greek, Goody Goody burgers, Café Con Leche, Ulele Bar and Fitlife Foods. The only international brand is Starbucks Coffee. Will that collection generate proportionately weaker sales than that of the main terminal, with its national/global brands Hard Rock Café, P.F. Chang’s, Qdoba Mexican Grill, Chick-Fil-A and Wendy’s? We should have a fairly clear answer by 2020. Big-picture thinkers contend that the TIA concessions program of the future should not solely be focused on the bottom line. This entry was posted on Thursday, June 18th, 2015 at 9:00 am and is filed under Airport, Future Plans/Announcements, Growth, Growth Opportunities, Local Foods. You can follow any responses to this entry through the RSS 2.0 feed. You can leave a response, or trackback from your own site.